A new Siri capability will now let iOS device owners get a quick overview of the news. The said feature takes a simple voice command from consumers and invokes a short news-based podcast as an informative bulletin. The extremely useful Siri feature started to roll out earlier this month to device owners in the United States who had the iOS 11.2.5 beta installed on their iPhone or iPad. 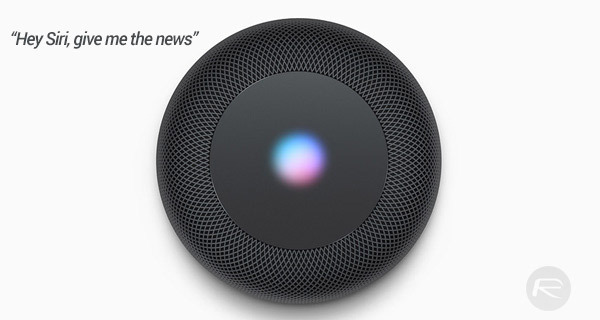 The feature allowed those devices owners to invoke Siri and say “give me the news” to receive an instantaneous spoken bulletin of the current events and headlines. From an implementation perspective, it seems that when the feature was invoked, Siri would play a daily news podcast designed to get a user up to speed on the most relevant headlines in their part of the world. That feature has now been rolled out to a broader collection of users in various territories of the world. It has been confirmed that device owners in the United Kingdom and Australia are able to access the feature and it’s actually now available on non-beta versions of iOS. Owners of an Alexa-powered device, such as Amazon’s Echo or Dot, have been able to use a similar feature for quite some time, which suggests that Apple has designed the functionality with its upcoming HomePod speaker in mind. However, for one reason or another, after testing the news feature with iOS beta users in the U.S., Apple has now decided to offer it on a wider scale across all devices. The feature is backed by various news providers in different territories. As an example, in Australia, ABC, SBS, and Seven Network are offered as sources. In the United Kingdom, users will get news from the BBC as default but can switch to Sky News or LBC with a simple voice command. United States-based device owners will have the option of Fox News, CNN, or the Washington Post. Apple is likely going to continue refining and working on this feature in the coming weeks and months as it gets it ready for use on HomePod, but, for now, it’s available on all iOS devices for you to try. wow! Alexa and google have been doing that for a while, Apple still playing catch up.